Thank you for looking at another unique piece of fiveninedesign inventory. 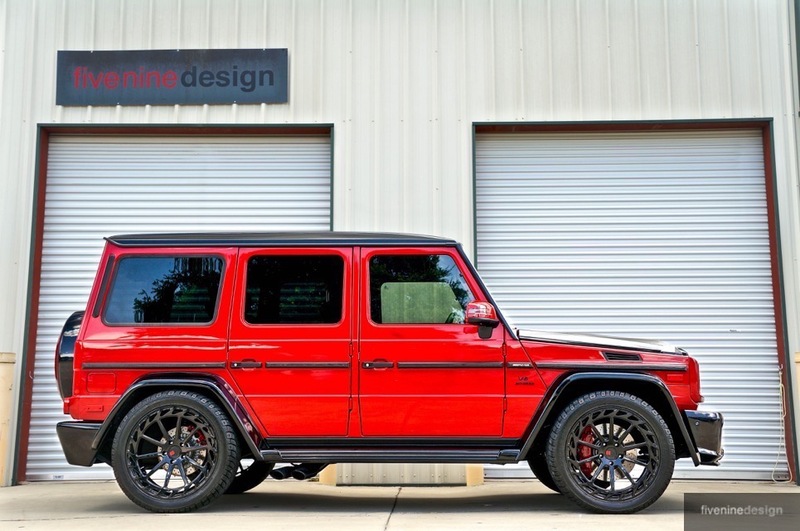 As you may know, here at fiveninedesign we strive hard to seek out and create some of the most unique, niche, and rare vehicles in the world, and present them on a global stage for sale. 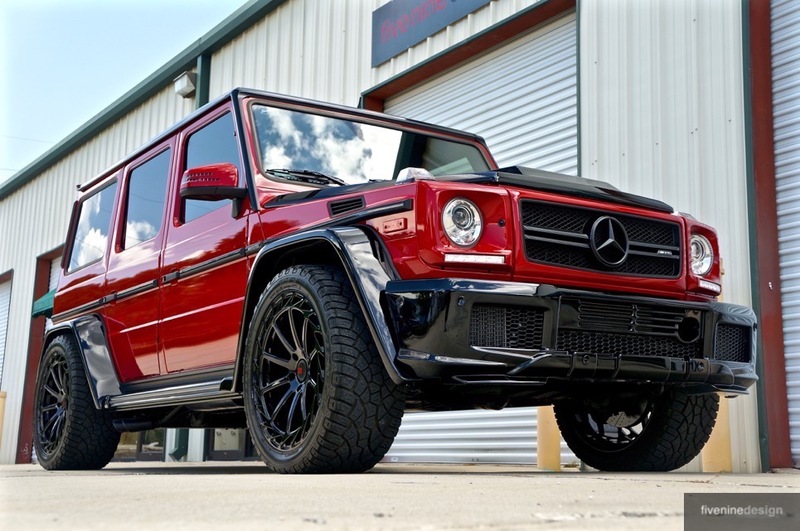 This 2015 Mercedes Benz G63 AMG is another testament to our commitment to offer the BEST of the BEST. 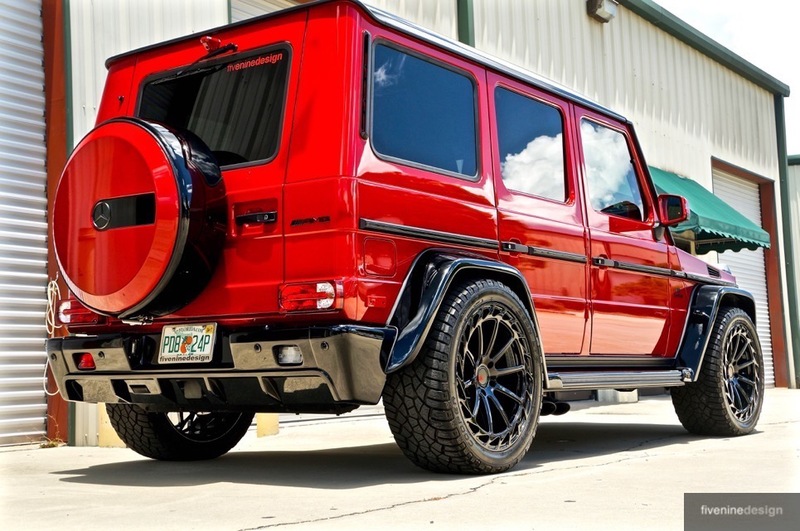 This G63 AMG was built to be a one of a kind W463 G Wagon, and in order to do that, we needed to start with an awesome platform. 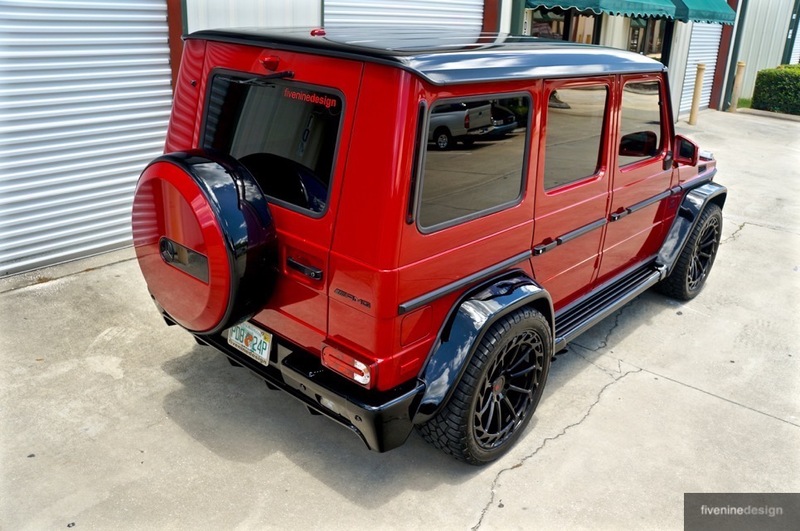 This low mileage G63 came from the factory in Mars Red over Designo Black Leather interior. 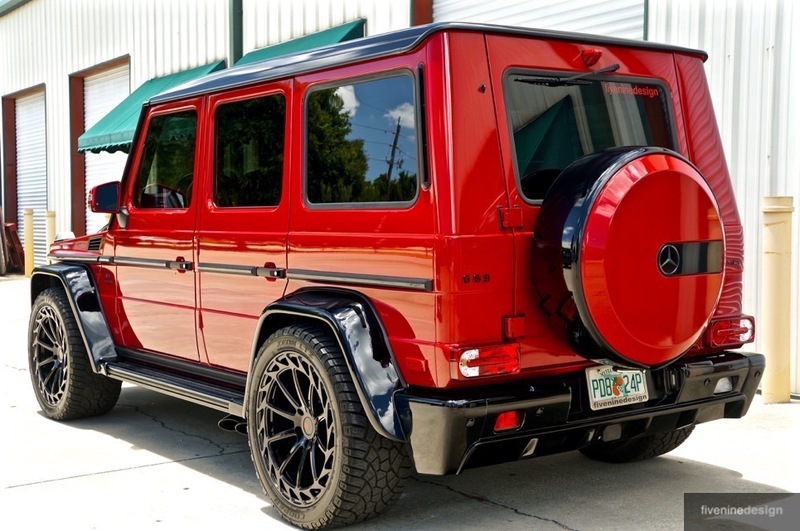 The Mars Red is an extremely rare color, being in their Premium “Manufaktur” Color options, rest assured you will most likely not pass another one on the road! 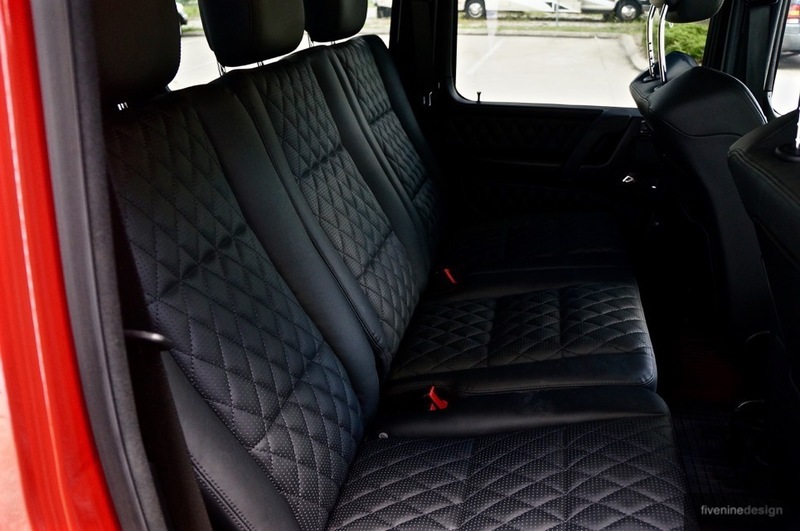 The designo Black Nappa Leather interior is absolutely jaw dropping. 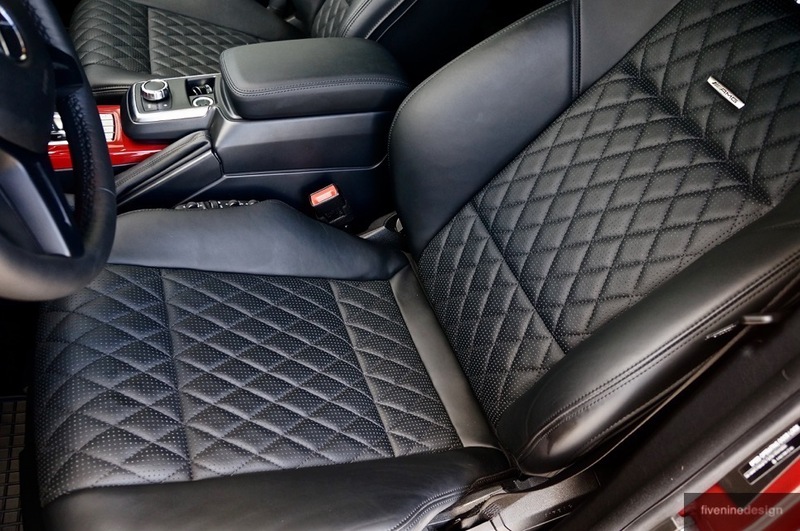 The seats all diamond-pattern stitched, and practically all of the interior draped in real Leather (versus pleather on most models). The suede headliner in all black adds to the gorgeous stealth inside of this German tank. This truck has all of the bells and whistles. 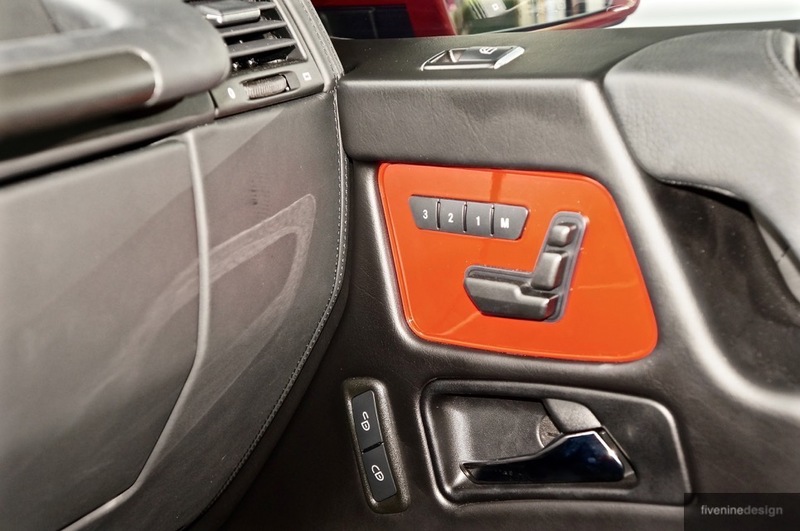 Illuminated Door Sills, All Weather Mats, Heated and Ventilated Seats, you name it. 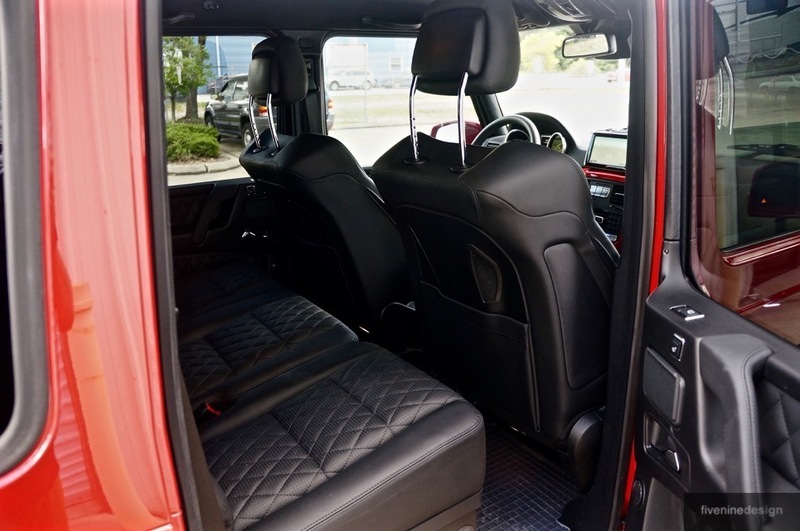 This awesome SUV has every available option sans Rear Entertainment Center, but that is probably a good thing due to the fact it looks archaic in these awesome G Wagons. With the low miles, the inside and outside of this truck are still in like brand new condition. 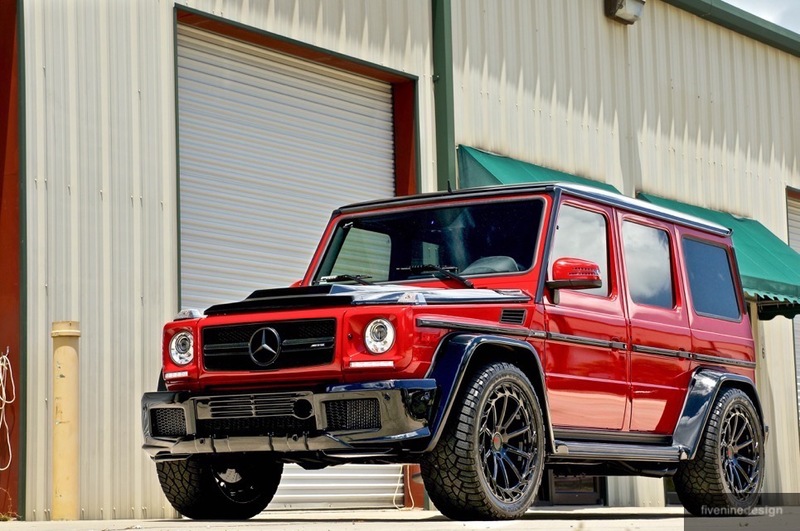 Mechanically, this G63 is perfect, and bone stock. The truck was just serviced at the Authorized dealer, and needs absolutely nothing. Now to the fun stuff. 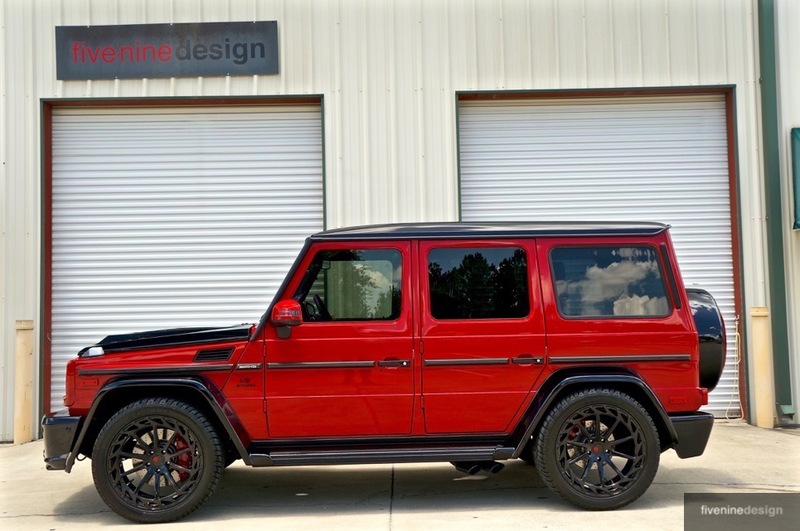 To further make this already rare G63 that much more awesome, we had to give it the fiveninedesign touch. 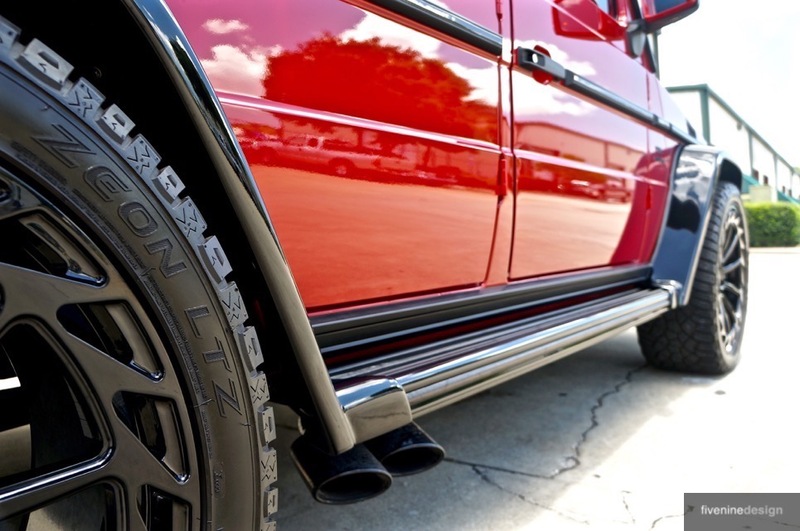 This touch, turned into a full on fondle, and we have created what we think is one of the baddest and most aggressive and unique G63’s in the country, or in the world! To start, we added a full Prior Design DE Version II widebody kit to the car. To our knowledge, this is the first, and only in the USA with this kit. It is comprised of Front Bumper, Four Fender Flares, Rear Bumper, and Hood. 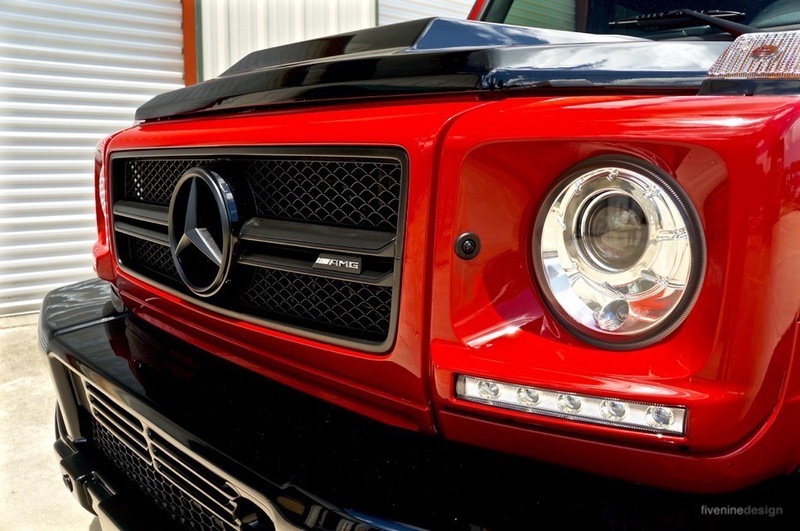 To give it the look of the “AMG Studio”, but with a TON more attitude, we opted to paint the entire kit in 040 Gloss Black. 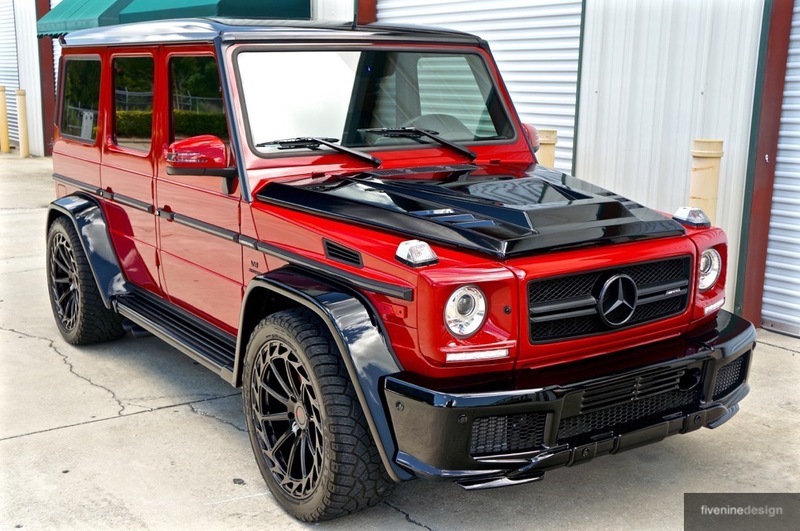 Unlike all of the other “custom” bodykits you will see on G63’s, we reworked this kit to make it 100% functional with the factory options on the newer G63’s. 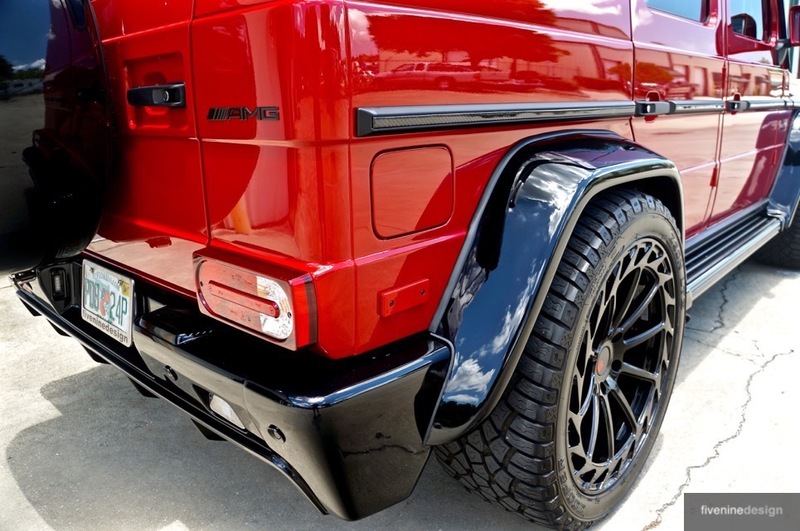 This means, the parking sensors were relocated to the kit, along with a funnel for the Distronic Laser, and some trimming for the G63 Intercoolers. This work was done right, which is something hard to find these days. 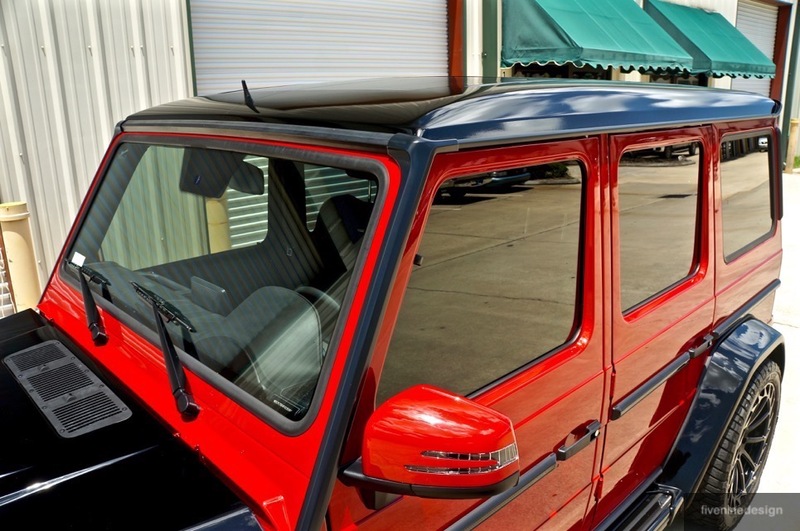 To complete the studio look, we used Avery Dennison Gloss Black Vinyl to make the roof gloss black. We opted not to paint as the entire truck has factory paint except for the body kit pieces, and painting the roof would compromise that statistic. An all original paint truck shows that this truck was never wrecked, hailed on, keyed, or damaged in ANY way prior to our work. 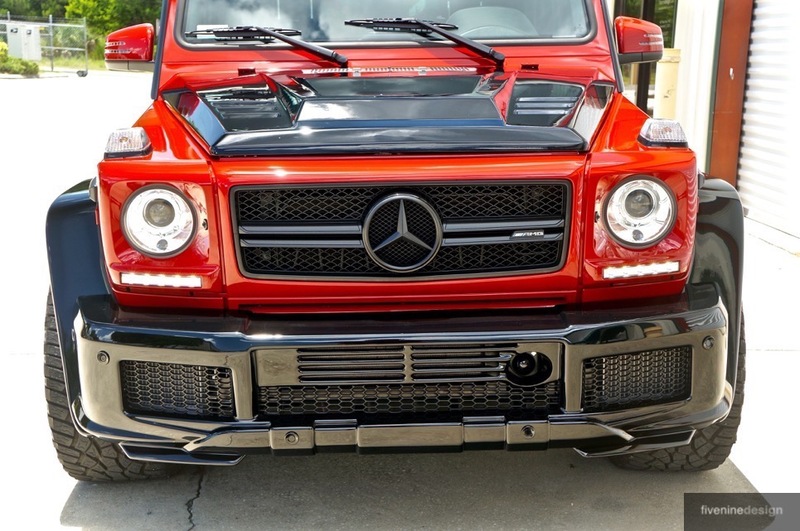 All of the chrome trim that comes standard on these trucks trim line was replaced with real Carbon Fiber trim. Also, all badging and grill was refinished in Semi Gloss Black The truck had a custom set of lowering springs built with slightly softer spring rates (at our discretion), and these were installed. 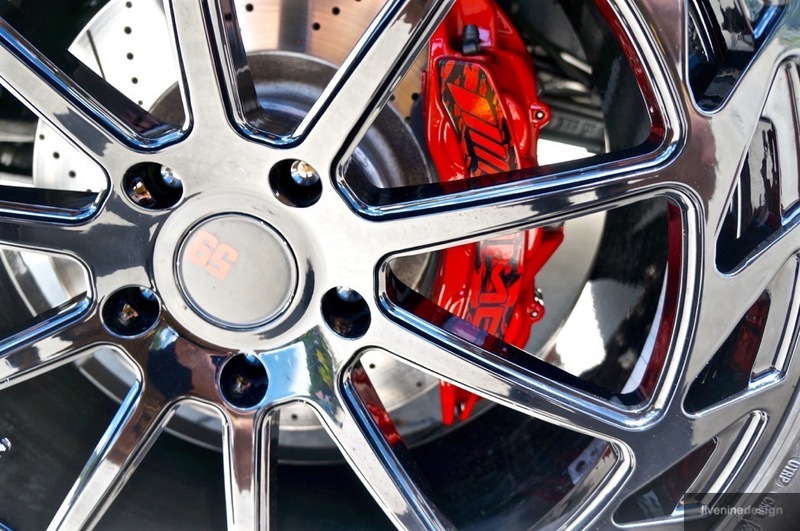 The truck rolls on Vellano VM31 Forged Monoblock Wheels on Cooper LTz tires. 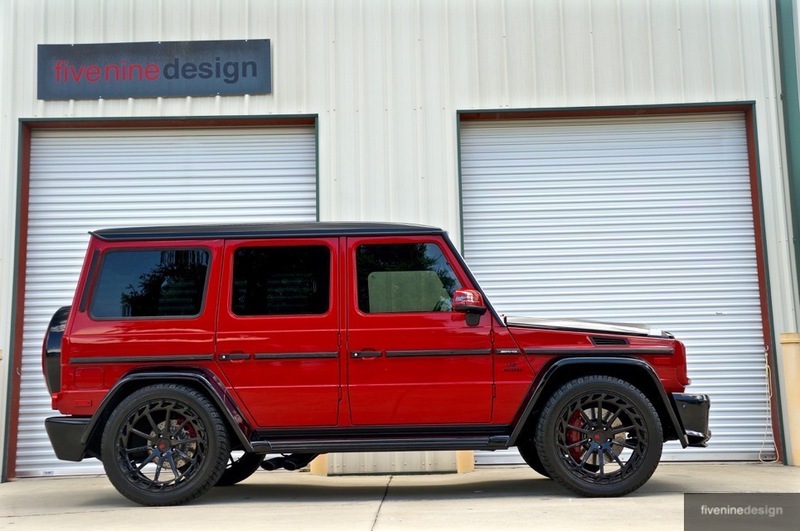 Behind these unique and one off wheels sits the freshly powder coated G63 Calipers in Mars Red, with an outstanding Camo Like “AMG” Logo. All of the chrome on the truck was powder coated in house to gloss black, and adds to the “no chrome” theory that we were going for. 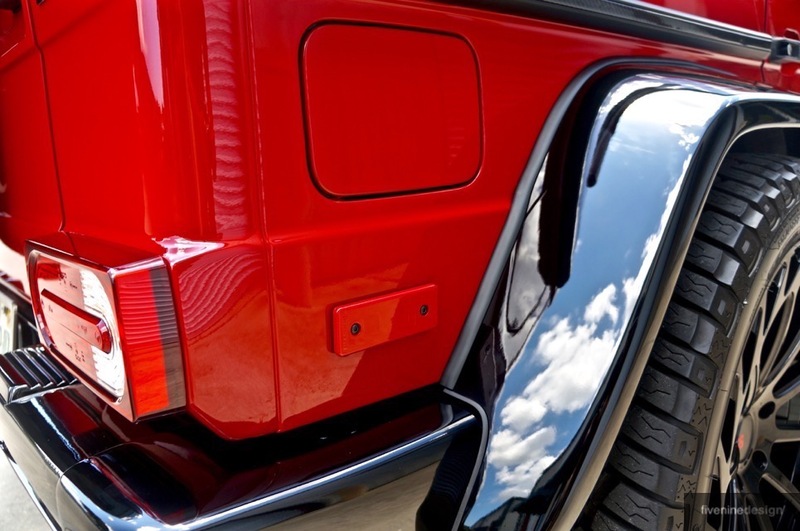 This includes the tire surround, running boards, and exhaust tips on the truck. 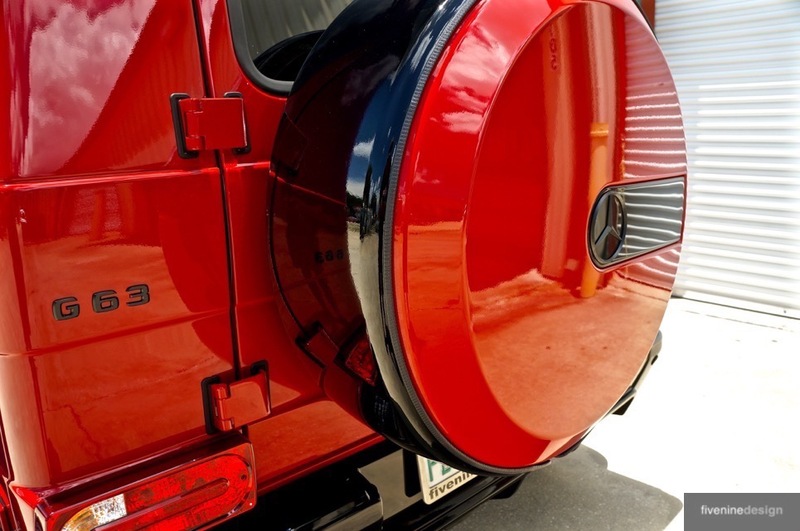 The side markers on the truck were painted Mars Red, but with an agent to allow light to still protrude, truly a unique and custom feature of the truck. 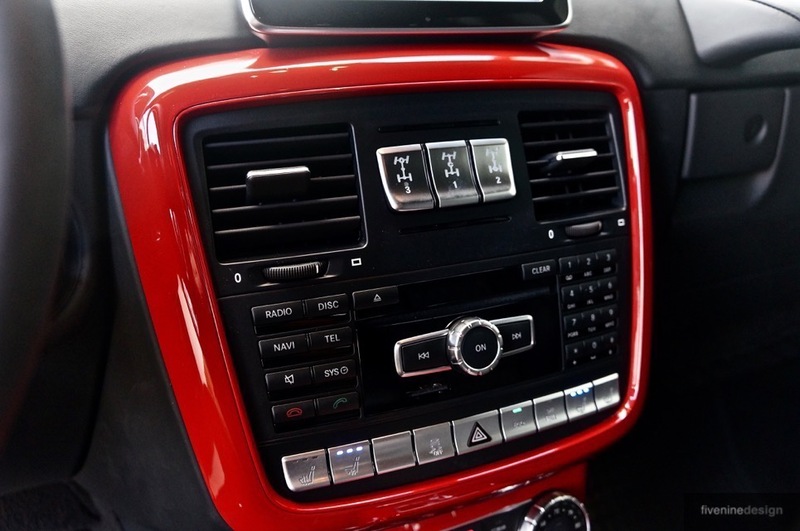 Moving on to the interior, we pulled all of the factory burl wood out of the truck, and professionally refinished it to Mars Red to match the exterior. 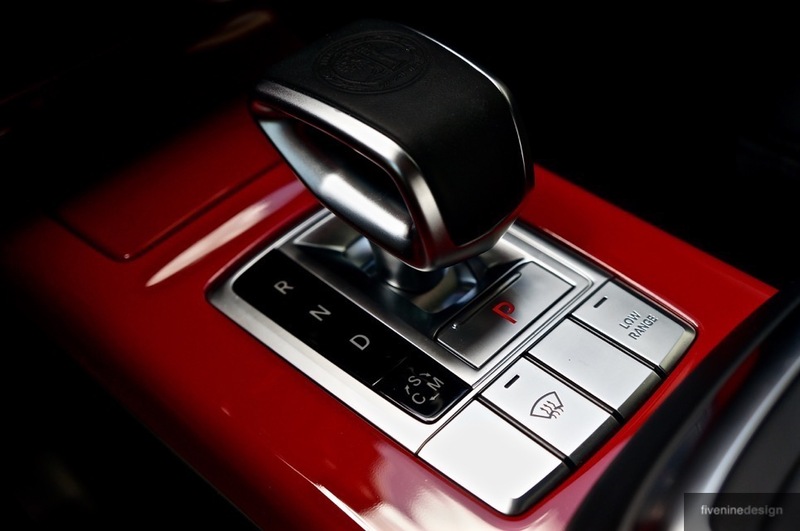 The Passenger Dash Handle was done in Satin Black, as a piece of red their would have taken from the streamline flow of the red accents. 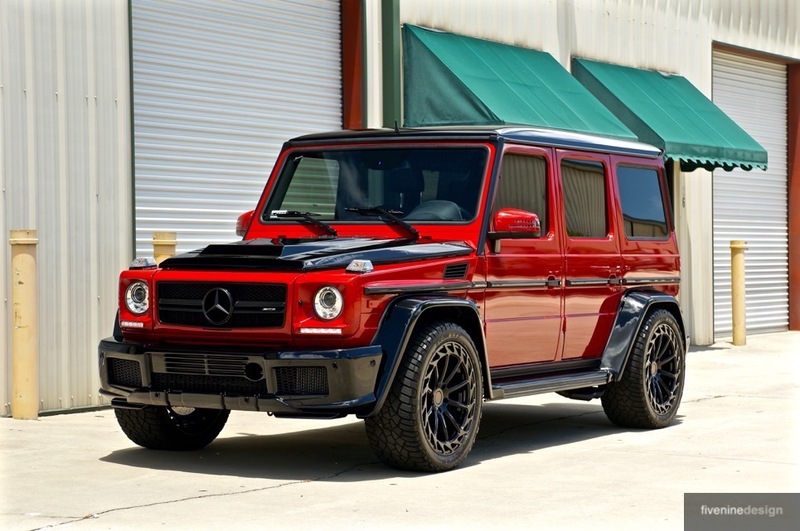 -This vehicle is available for immediate delivery. 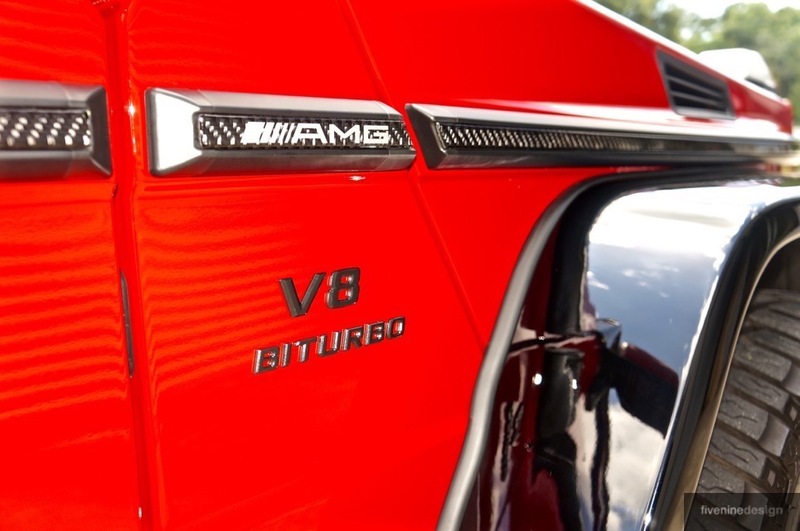 We encourage coming to see these unique vehicles in person, to fully appreciate the quality of work, and amount of time put into them. For further inquiries or questions, please reach out to us.